BPTP Park Sentosa is situated in Faridabad. This project provides all facilities that today's home buyer would aspire to have. 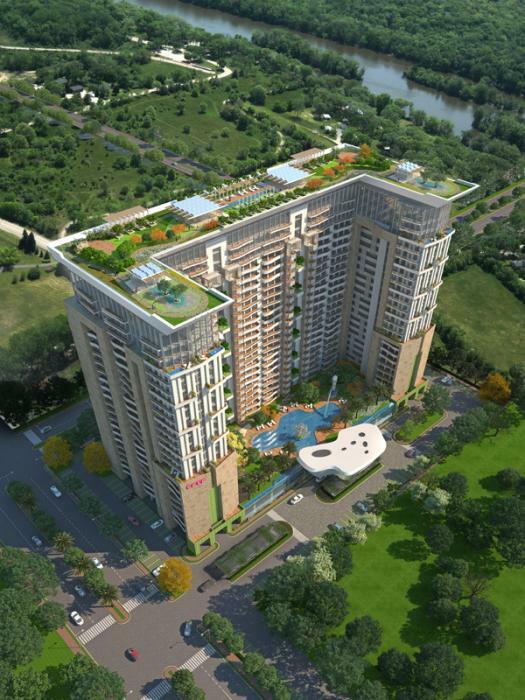 BPTP Park Sentosa is a part of the suburban locality of Sector-77. Sector-77 is connected to near by localities by wide roads. Residents of the locality have easy access to community facilities like schools, colleges, hospitals, recreational areas and parks. The facilities inside the complex are elegantly crafted. BPTP is one of the leading real estate player in India, was established in 2007, They don't only provide luxury real estate for residential buildings but also provide the commercial solution. They have created more than 10+ projects in multiple cities of India. They pride themselves on providing a quality product. They are very passionate to innovate and always provide the most up-to-date technology for their new project. They desire to earn people's trust and confidence while they create whenever they launch their new product and services. The company's main goal is to provide the best real estate in all the areas they serve. Company has impacted largely on the real estate industry in India. At BPTP, it is our aim to establish ourselves as the most trusted and admired real estate company in the country. Our vision is not limited to becoming the most successful company in the sector, but to become the obvious partner of choice in the process. We are constantly striving to gain the trust and confidence of the people we work with and the people we work for. At the core of our organization are a set of guiding values. It is our mission to embody each of these values in our functioning, constantly. Review of BPTP Park Sentosa, Sector 77? Its price, location, builder etc. Review of Bptp Limited, Sector 77? construction quality, trustworthy, delivery history etc.? Review of BPTP Park Sentosa, Sector 77 location? neighbourhood, connectivity, schools etc.? Comparison of BPTP Park Sentosa, Sector 77 to nearby projects? Is it rightly priced? What is your feedback on this BPTP Park Sentosa, Sector 77? Depends on brand name and complete the project in time etc? Will this be a better option for investment or to live in BPTP Park Sentosa, Sector 77? Can you give some suggestion? Is the BPTP Park Sentosa, Sector 77 has more potential in terms of capital appreciation, ROI, Rentals, Proximity to social infrastructure etc?